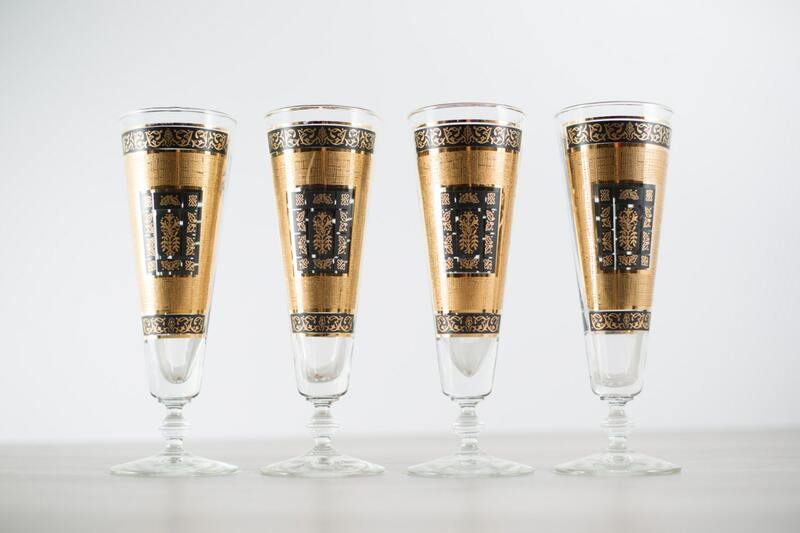 This is a fantastic set of four cocktail glasses. 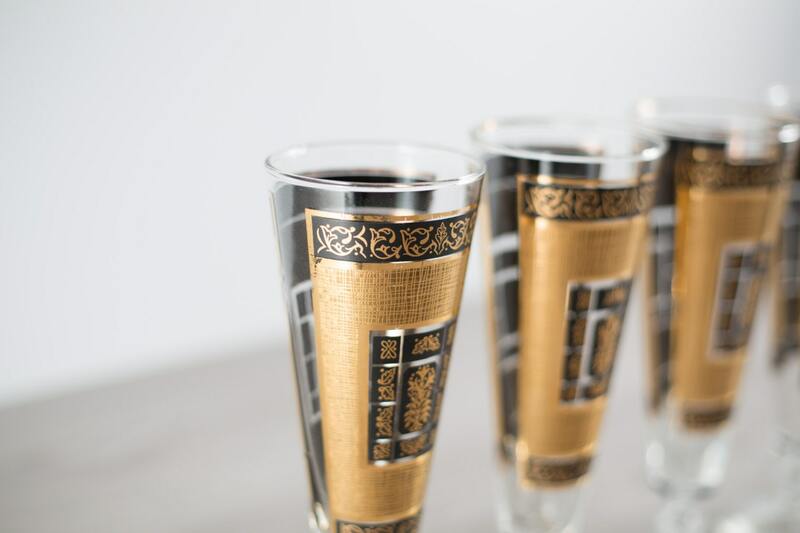 Perfect for a Christmas or New Year's Eve party! 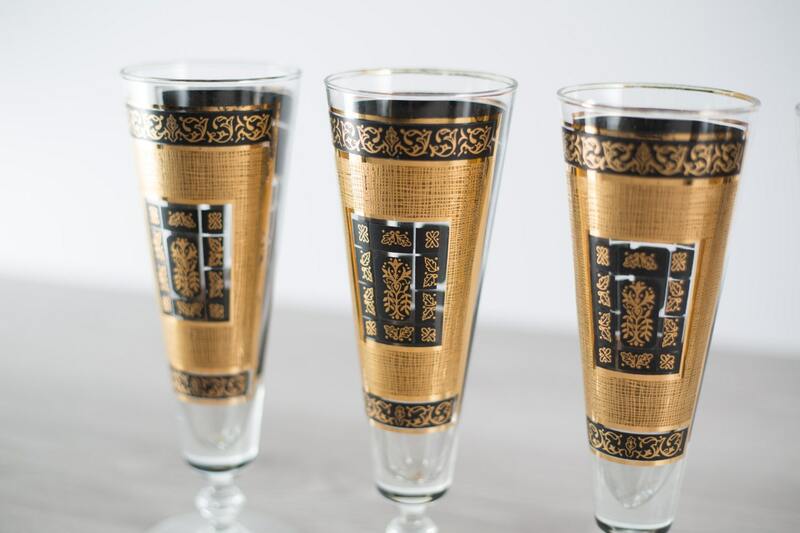 These glasses feature an elegant gold and black design. 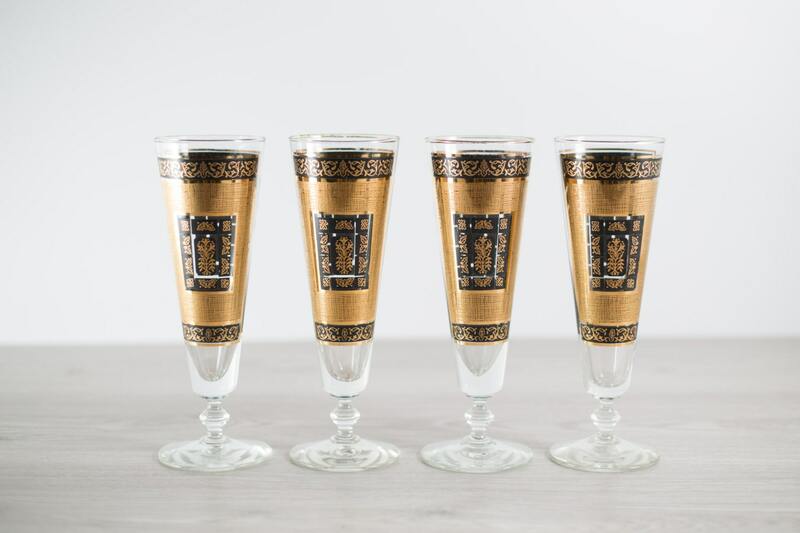 The price is for all 4 glasses. They have gold bands around the lip. 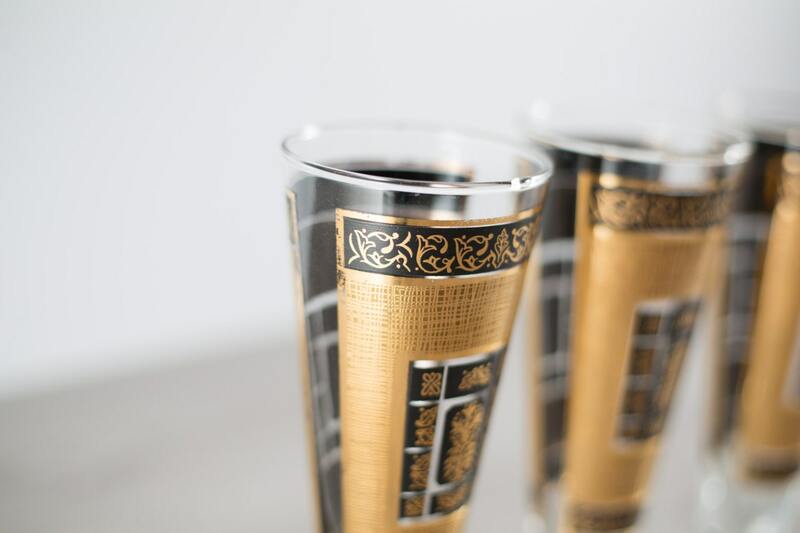 This is a great addition to any funky retro or modern bar. Excellent vintage condition. No chips or cracks. The gold and black accents are in excellent conditio (see photos).